Sunscreen Roller Blinds are a window furnishing that provide daytime privacy while still allowing you to look through your glass window or door. 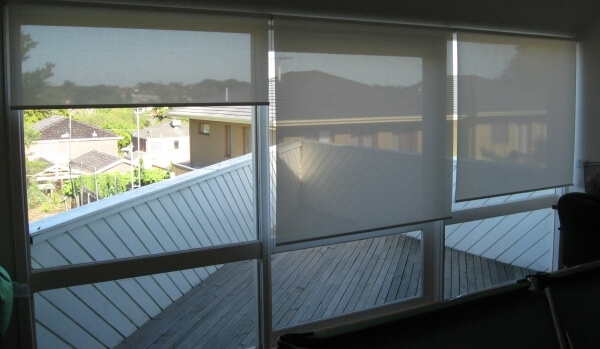 Where daytime privacy is required for windows or doors, while still providing sunshade and visibility to the outside. Suitable for any Melbourne office or home. Sunscreen roller blinds only provide privacy during the day, at night the view is reversed. Visibility and sunshade is determined by the openness and colour of the fabric. All our sunscreen fabrics are from leading brands and our roller blinds use only quality materials like aluminium tubes and Acmeda components. All backed with a 5 year warranty. 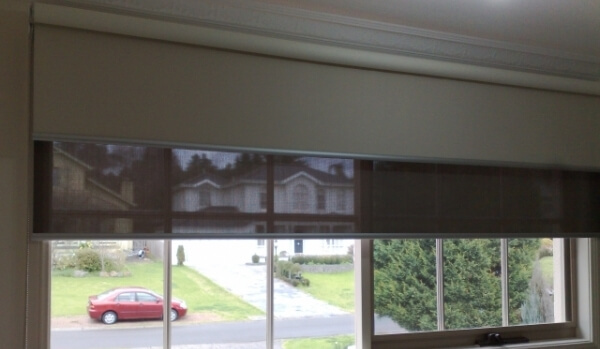 Sunscreen roller blinds can have different colour brackets, chains, bottom rails and styles. Choice of leading fabrics and colours are available as well as pelmets and motorisation.